Writing this preview has been hard for two reasons. We'll get to one of these reasons at the very bottom, but the other we're going to talk about right now and repeatedly through this preview: To Hell with Hell is… hard as hell. 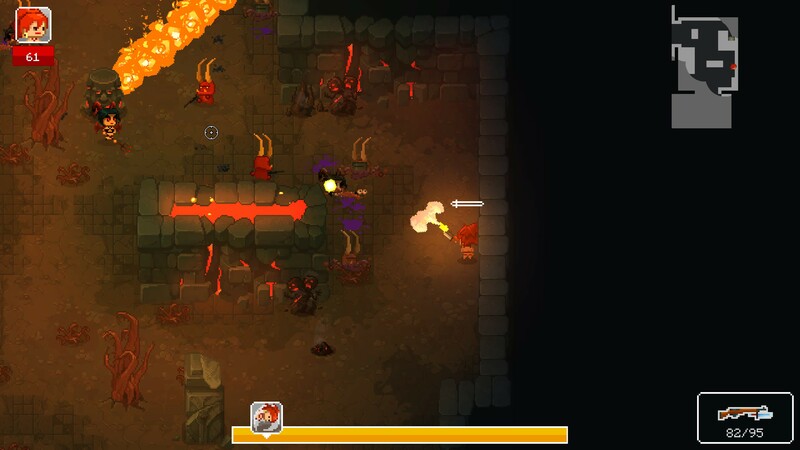 I've long held an affection for bullet hell roguelike titles like Enter The Gungeon and The Binding of Isaac, and To Hell with Hell looks like that. At first. To Hell with Hell is a mish-mash of systems that have combined to create a whirlwind of top-down hurt. Some of these mechanics feel a little weak, but all in all the game is well served by the key element, shooting. 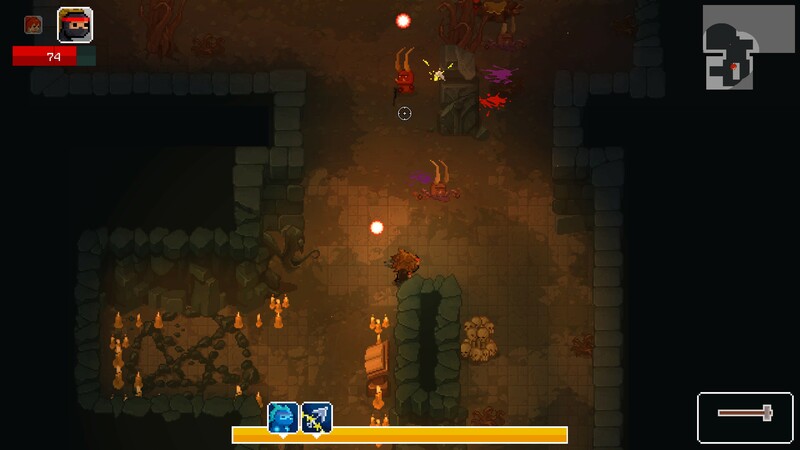 The selection of weapons in the game is a real strength, and many of these offer unique ways to play. You start off able to carry just two guns and rarely find more. This, combined with the speed and intensity of your opposition, means you quickly get familiar with the different weapons on offer. I quickly grew to adore a crossbow that would keep travelling through every enemy it hit until it met a wall, which helped me carve into the crowd of constantly attacking enemies. Later, I found love for a mortar, a shovel, and even a couple of anti-aircraft guns masquerading as assault rifles. There's a truly phenomenal amount of enemies and incoming fire when you start playing this game, but this arsenal can help you achieve peace through superior firepower. Ammo can be hard to come by, so sometimes you'll be pushed into picking up something new, but there are so many fun toys in the game's weapons collection that picking up new weapons is often a joyful occasion, provided you survive long enough to use it. It's not just the weight of firepower that makes the game tough. 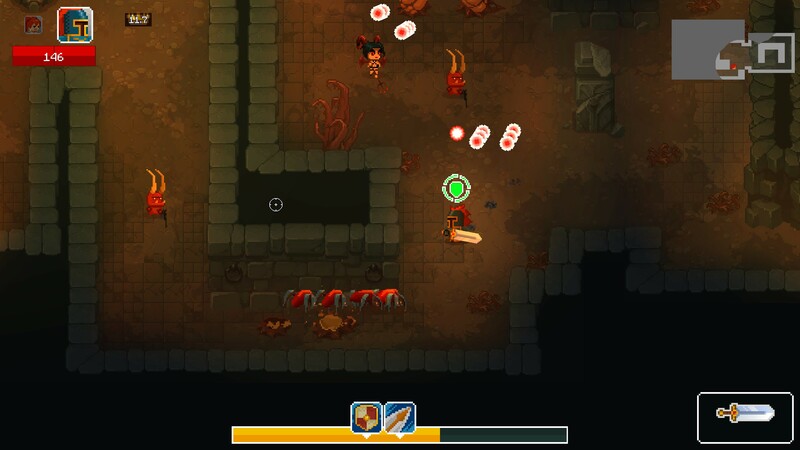 The game's health system emphasises your fragility: With each hit you lose a chunk of health for good, making every successive attack against you not just an immediate threat but a more long-term issue. Take injuries here and they'll leave scars. 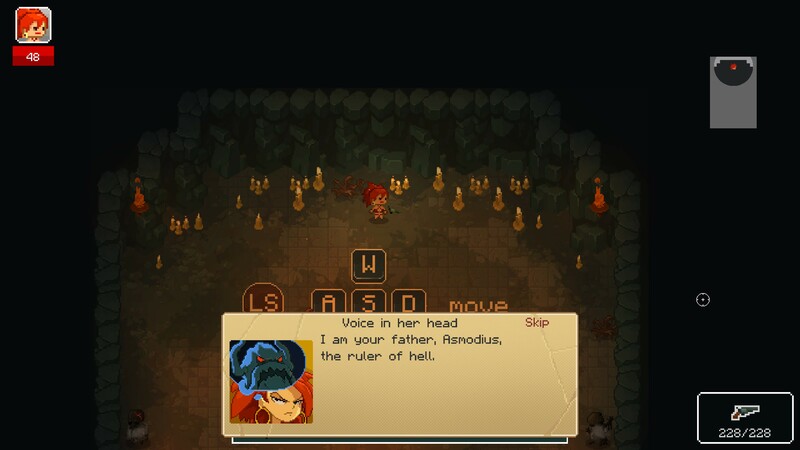 This difficulty is assuaged slightly by the game's save system, which sees each round started with five saves. At the end of each level, assuming you have saves to spare, you can save the game. Die, and you'll return to this last save rather than starting fresh. This means there's an element of risk versus reward each time you finish a level: You could save now, but then you'll run the risk of not being able to save later when you might really need it. Something that doesn't work too well for me is the game's mask system. The masks give you unique abilities but also a separate health pool, and they effectively take the role of transforming the player into a series of alter-egos, including crusading knights, SWAT officers, or even a robot. These offer you new abilities or weaponry in addition to the health: The robot can take more damage; the knight can charge forward with sword aloft. 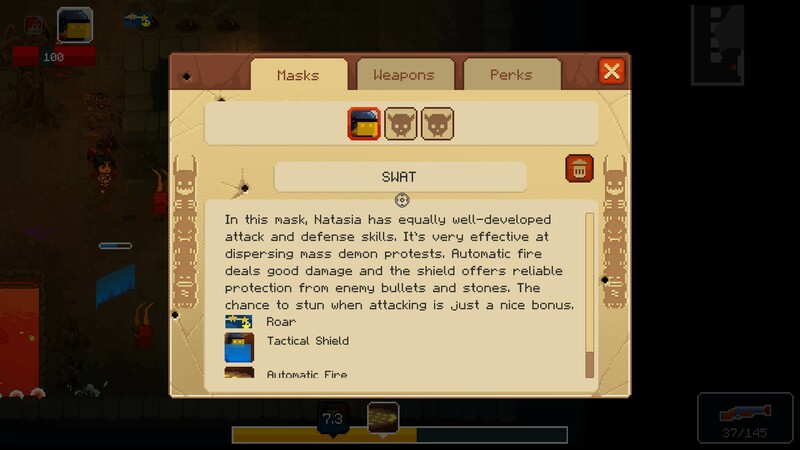 Unfortunately, the pace of the game doesn't suit the instant and drastic changes that each mask bestows, and as soon as the mask's health is depleted, it immediately vanishes and leaves you with either no mask and the default dodge roll jump, or it leaves you with a different set of powers. A quick shift of equilibrium during a firefight in this game will leave you dead, and frequently I found myself slaughtered because I had a mask that gave me only a melee weapon, or because I lost access to an ability and didn't notice as I was trying to dance through the bullets like a leaf on the wind. You often won't get a second chance to try out a new ability on a mask the first time you find it, so it seems silly to risk losing the mask or worse, because you're not sure exactly how an ability is going to behave before you use it for the first time. Anyway, emotional goodbye over. To Hell with Hell is a promising game that could offer a slice of brutally difficult bullet hell action and has the chops to do it. However, right now it's not quite there. I'm hoping Early Access buffs out some of the bugs and delivers on the promise the title shows.